October is Breast Cancer Awareness Month, and I am committed to positively impacting the lives of those faced with Breast Cancer. After losing my mother four years ago at just the age of 54 to breast cancer, it became personal. From getting mammograms and biopsies to shopping for wigs and headscarves, I was with my mother along her entire journey. My mom was sassy and vibrant and the process of losing her hair was very emotional, so I always worked to keep her cheerful and encouraged her by coming up creative ways to help here look and feel good. 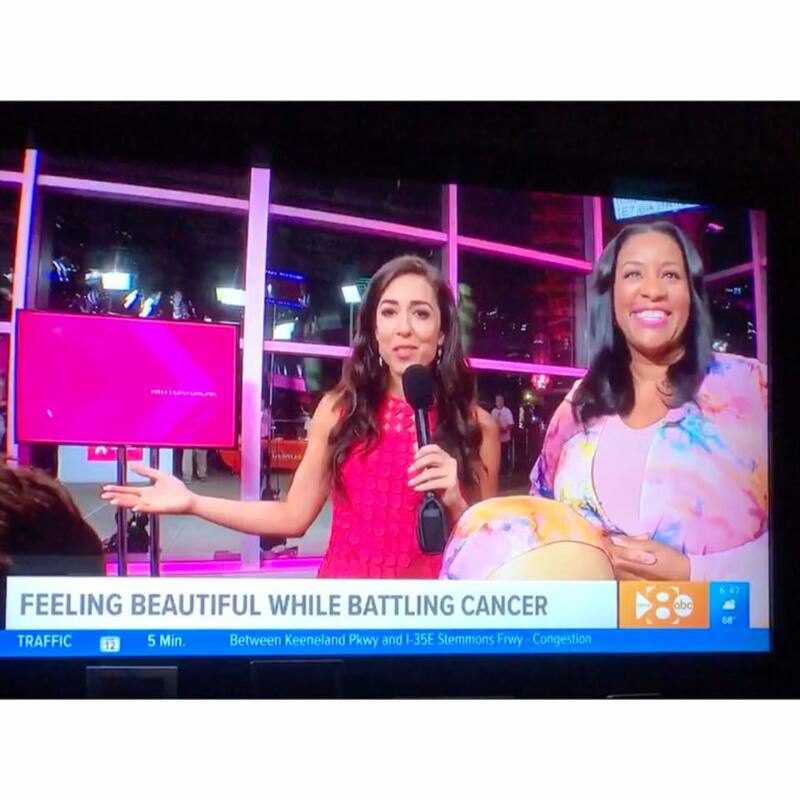 I was honored to appear on WFAA’s DAYBREAK, to demonstrate a few of these quick and easy ways for transforming scarfs into fun and fashionable head accessories using a beautiful scarf by Abi Ferrin. WATCH THE POST INTERVIEW HERE!